Located in El Retiro, near Medellín, Colombia at 2145 meters above sea level, with fresh temperature and mid pluvial range. 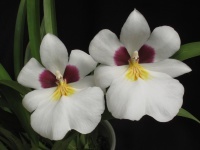 Since its beginnings, 40 years ago, I´ve preferred Colombian species and last years, Miltoniopsis hybrids. I grow at open air, down trees or shadow cloth maxillarias, lycastes, scaphyglottis, stanhopeas, acinetas, xylobiums, epidendrums, masdevallias y pleurothallis from warmer temperature, restrepias, zootrophiums, ophidiums, scaphosepalums, stelis, trichosalpinx, draculas, porroglossums,cattleyas mendelii, elleanthus, sobralias, trichopilias, oncidiums, cochliodas, adas, odontoglossums and down plastoc roof cattleyas warscewiczii, trianae and candida, lockhartias, brassias, masdevallias y pleurothallis from warmer temperature, kefersteinias, chondroscaphes, warscewiczellas, cochleanthes, bolleas, pescatoreas, huntleyas, miltoniopsis, gongoras, arpophyllums, anguloas y phragmipediums among others. 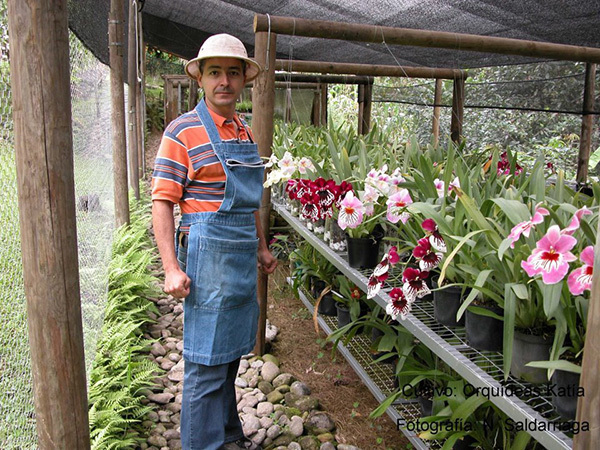 Gustavo has been growing and collecting Colombian orchids more than 45 years. 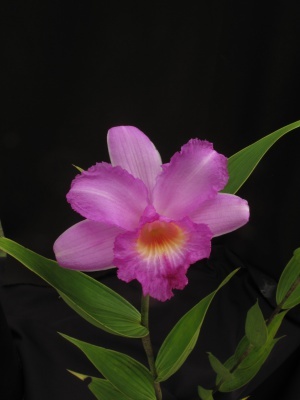 His orchid company, Orquídeas Katía, sells colombian species of the generas Cattleya, Pleurothllidinae, Chondrorhyncha complex, Miltoniopsis, Maxillaria, hybrid Miltoniopsis and others. 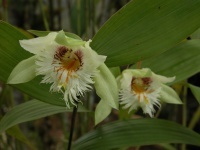 He is an Honorary member, Board of Directors, ex editor and member of the editorial committee of the Colombian Orchid Society (SCO) in Medellín (Colombia). 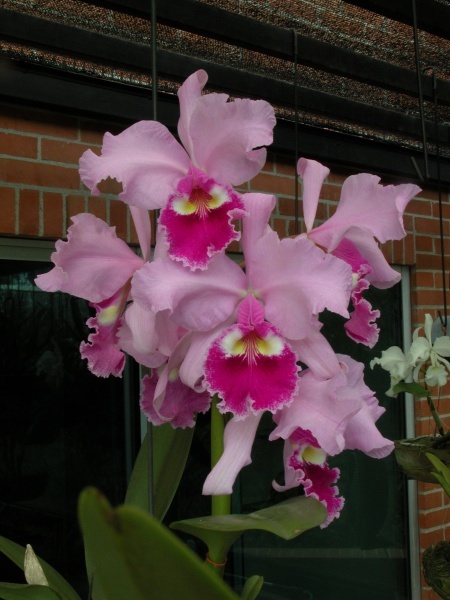 He is have collaborated and provided photographs for various Orchid publications such as Orquideas de Colombia (Orchids of Colombia.